MK Universal Inc. is one of the leading skincare cosmetic companies in Korean Professional skincare industry. MK Universal Inc. distributes a total beauty solution from product distribution, treatment training, to management consulting to more than 5,000 beauty spas and skincare clinics in Korea. TROIPEEL , TROIAREUKE, KM HAN are leading market brands along with their World’s Top skincare professionals. It's an aesthetic cushion that is being used in spas after treatment. It's a healthy, luxury, and functional cushion! It will help to reproduce the cell, anti-inflammation, wound healing. One of the greatest wound healing ingredient of all time. Effective on anti-inflammation and improving skin trouble. 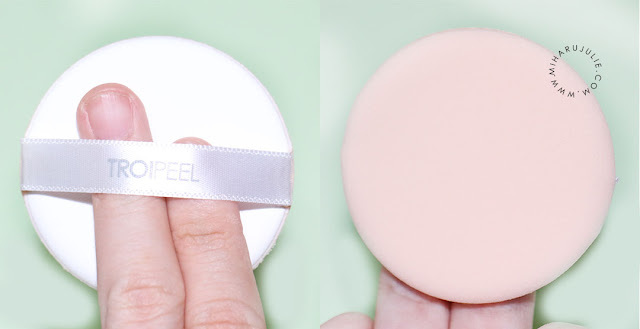 Anti-irritation effect on skin and natural moisturizing effect. 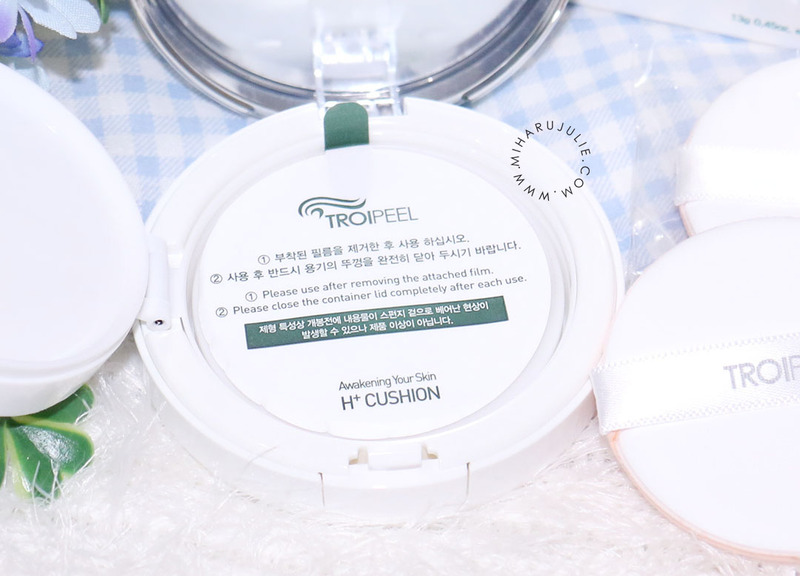 TROIPEEL H+ Cushion has very simple packaging. Made from plastic material and dominated with white color. It looks so medical as how their overall concept should be: prescribed cosmetics for our skin. They only have 1 shade and provide extra sponge inside. It forms thin moisture layer on the skin surface. Water Wrapping System acts as a moisture for TEWL (Trans Epidermal Water Loss) and protection against external factors. Skin moisture shield helps to slow down the aging process. 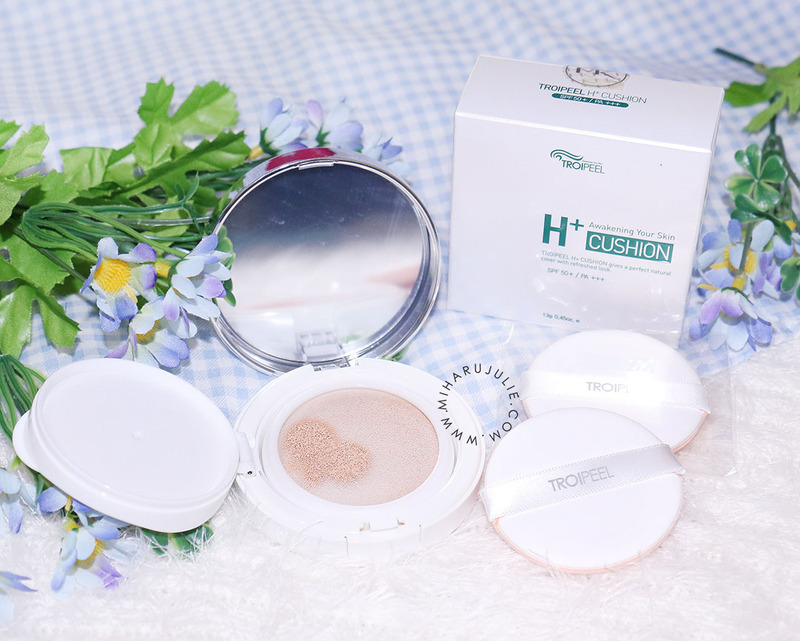 Through silky light make-up texture, H+ Cushion gives perfect makeup and desired skin look. WWS helps skin to have low temperature for minimizing the moisture loss. 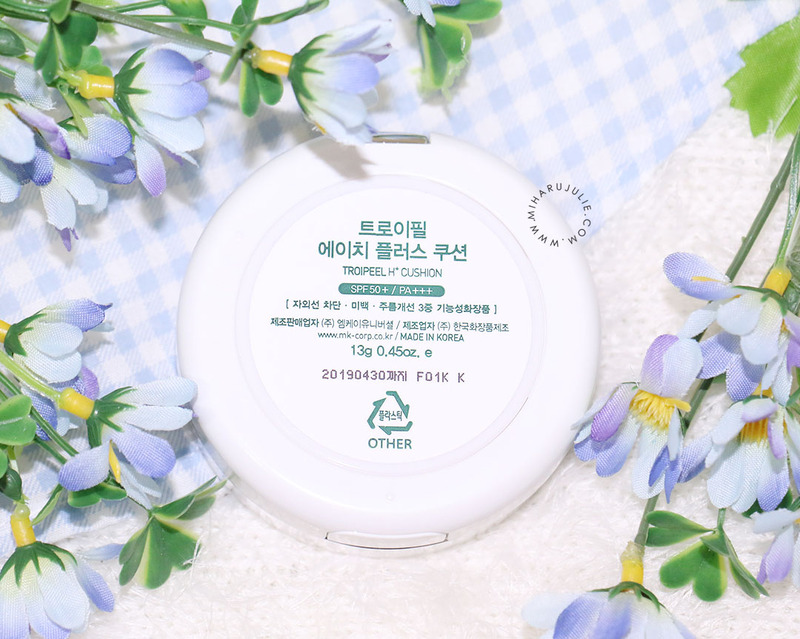 Balancing the moisture level from inside out, it increases the biosynthetic of the skin healing ingredient such as Portulaca extract and Centella asiatica which gives skin good environment of healing and anti-aging. 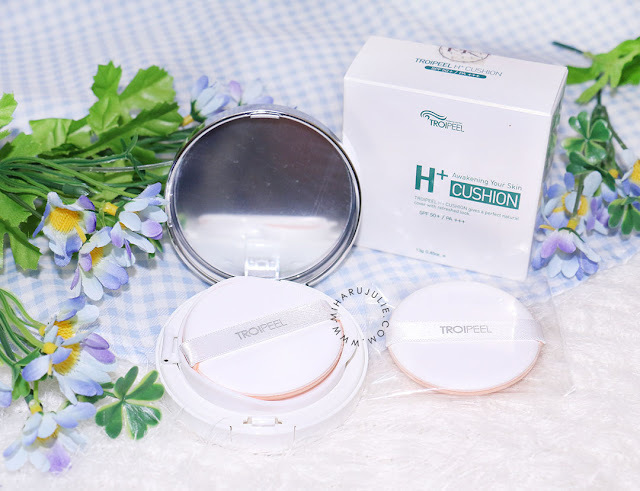 The texture of the TROIPEEL H+ CUSHION is quite high coverage, so just 1 dab gets me very far in terms of coverage. It can covers most of my redness and acne scars. The H+ Cushion performs above my expectation and I really recommend it for you, especially for people with skin troubles. The H+ Cushion gives dewy finish that makes my skin looks healthier. Doesn't feel heavy on the face. 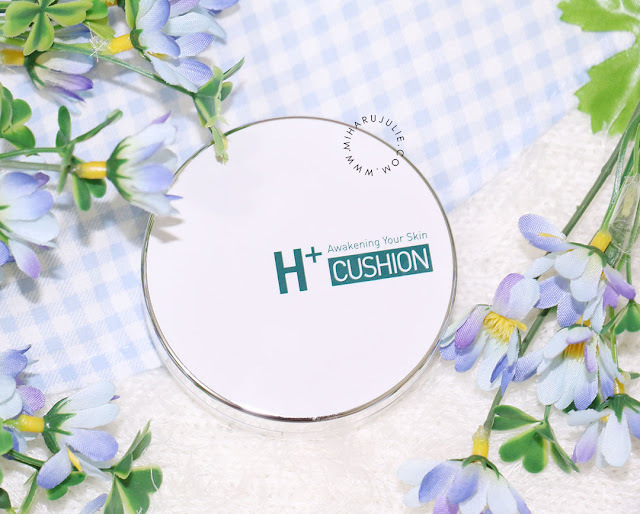 The H+ Cushion gives dewy finish that makes my skin looks healthier. Where to buy Troipeel H+ Cushion? 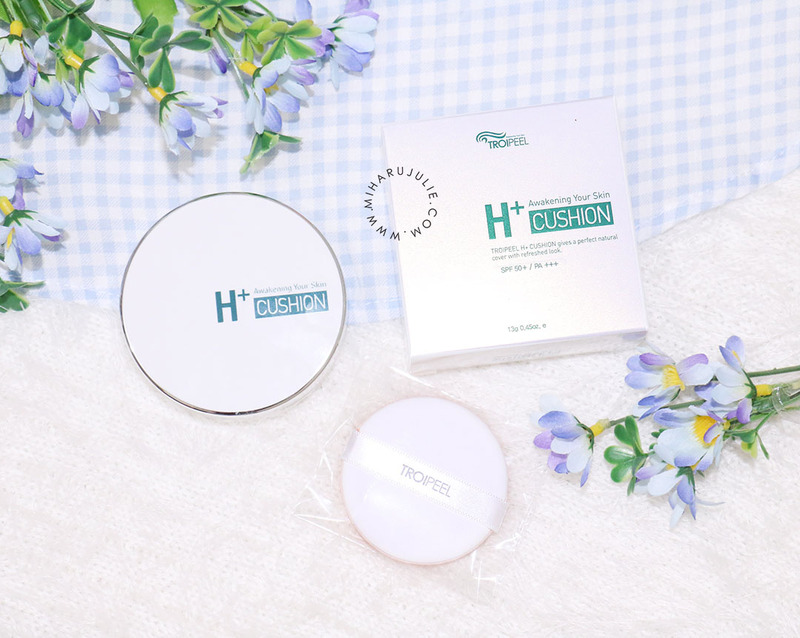 cushion fav mu apa sih jul? Great review Julie. Sounds like a good product. I wonder if they'll come up with more shades. That's a really nice review. I wish I could use this. But After look at the price I'm surprised. Well stay inspire people gorgeous. Aku juga paje cushion, tp dari brand yang berbeda. 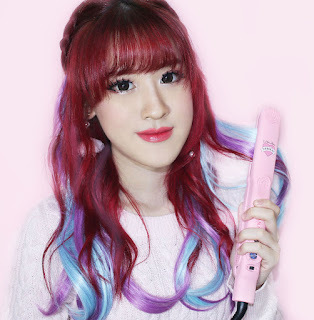 Setelah liat review nya cici kayanya bagus dan shade nya jg cocok ke kulit aku. Mmm, i'll try it later.